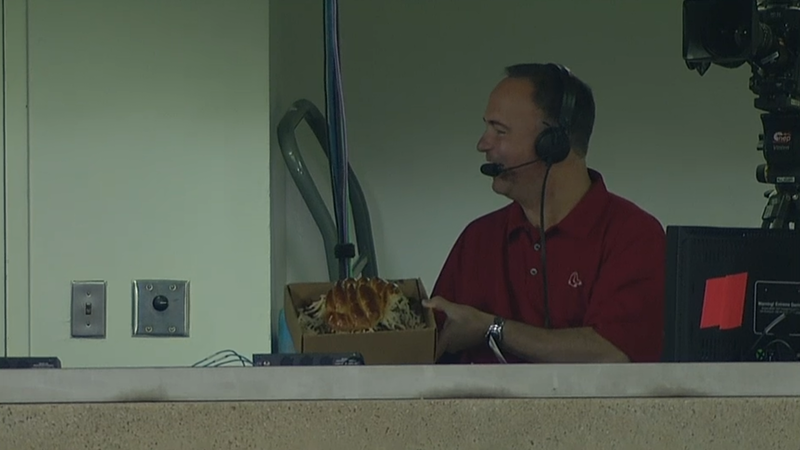 It is fitting that Adrian Beltre has a monstrous burger named after him. The eponymous dish features a pound of beef and eight ounces of bacon. 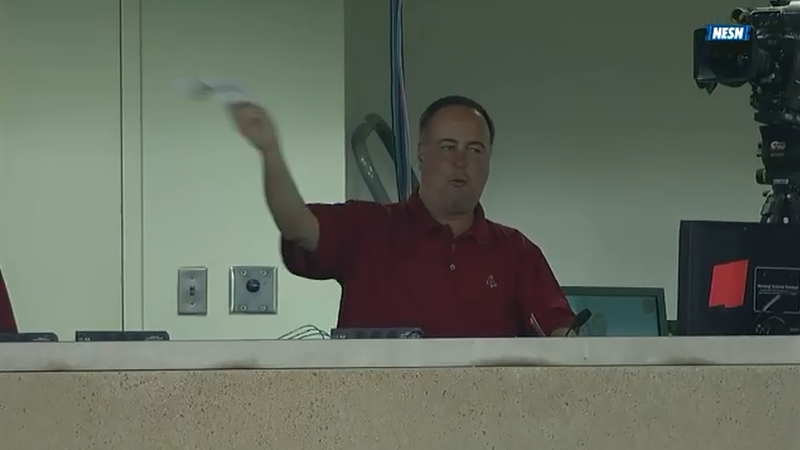 Beltre boasted a 4-for-5 outing with a bases-clearing double in the fourth. I hope all his teammates touched his head. 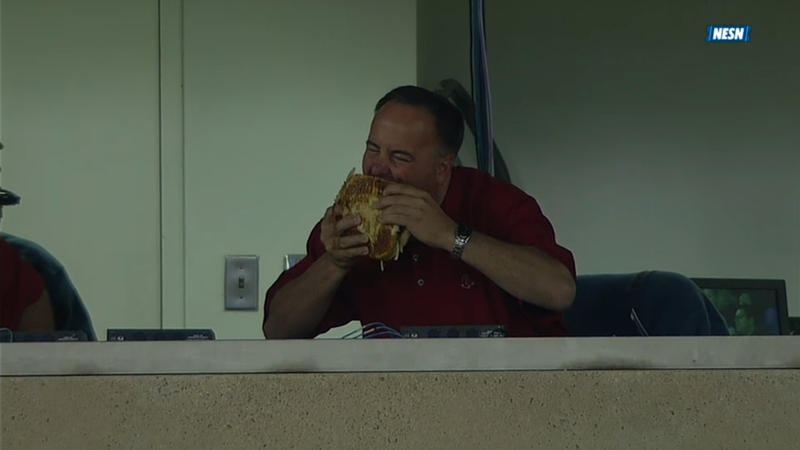 The course of Don Orsillo’s attempt to eat the burger mirrored the Red Sox players in this game. First there is initial delight in being presented with a novel challenge, the division-leading Rangers. Then attacking the task at hand with gusto. Until at last the inevitable surrender.